Are you just starting to read your very first books? Peppa Pig is here to help. She knows how it feels to start reading whole books on your own. So she wants to give you as much support as she can. Don’t be nervous. You’ll find lots of very easy words to get you started. Plus bright colour pictures to help you along if you get stuck. 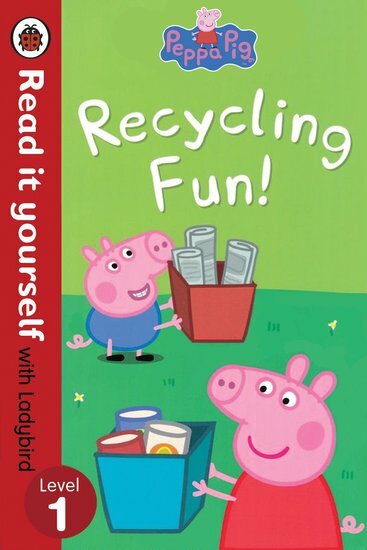 In this story, Peppa and her family are having fun sorting and recycling their rubbish. Miss Rabbit is busy recycling too – until she tries to recycle something she shouldn’t!